Celebrity Fitness and Fitness First Asia have come under the same parent company which will now be known as Evolution Wellness Holdings. The merger will comprise 152 wholly-owned fitness clubs across Asia and will see both organisations retaining its individual brands. The merger combines the management teams in both organisations and will now serve circa 400,000 members with staff strength of approaching 7,000. According to a press statement, Celebrity Fitness and Fitness First Asia recorded revenues of US$76 million and US$219 million respectively for the 2016 financial year. 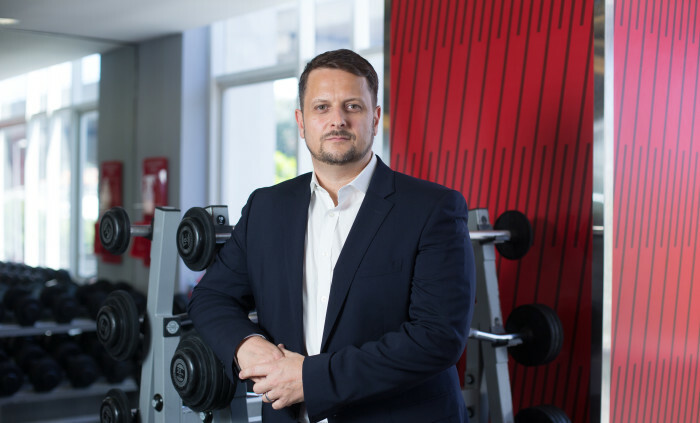 Evolution Wellness will be led by Fitness First Asia CEO Simon Flint (pictured), who will now be CEO of Evolution Wellness. He explained that the move will allow the brand to operate with increased scale, reach, and efficiency. This is in a bid to enhance its members’ experience through the continued expansion of its club networks, along with faster innovation, product evolution, and improved service standards. Post-merger, the brand will have an operational scale in four key countries – Singapore with 21 clubs, Malaysia with 35 clubs, Indonesia with 46 clubs and Thailand with 28 clubs. Evolution Wellness’s plans include enhancing member access privileges across the combined network, and launching more new locations. Both brands will continue to innovate and develop proprietary group fitness programmes, including the introduction of pay-as-you-go group fitness packages, as well as leveraging technology for an enhanced member experience and convenience. Asset management firms Oaktree and Navis will also own an equal share in Evolution Wellness. “Although we are now one of the largest fitness club networks in Asia, our priority remains to be true partners to our members in their fitness journey, and keep them coming back for more. We’ve worked hard over the last fifteen years to build a reputation based on trust, and we remain committed to bringing health and wellness to thousands more people across the region,” Flint said. “Celebrity Fitness and Fitness First complement each other in their distinctive brand identities and market positioning. This merger will enable both brands to expand faster and move into new Asian countries. I look forward to assisting Evolution Wellness with this strategic expansion,” Martin Darby, CEO, Celebrity Fitness, said.